Every month, half a billion people get on Instagram. Because Instagram is a huge platform that will only continue to grow in 2017 and beyond, Send Social Media is very excited to announce that our Dashboard now supports Instagram. 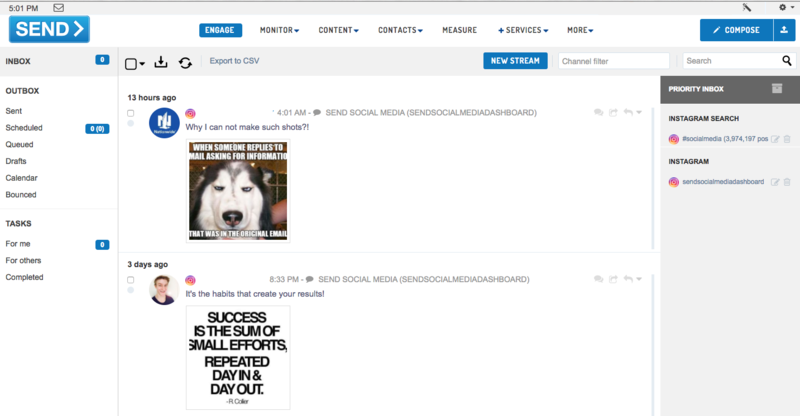 The Inbox of our Dashboard brings all your Instagram activity into one convenient location. This makes it super easy to engage with people who are interested in your content. From this single view, you can easily see activity on all of your posts and then expand conversations, repost content or reply to comments. Advanced features available with a single click include translating, archiving or assigning to a specific member of your team. When we talk to businesses about why they aren’t using Instagram or what issues they’re encountering as they try to scale their marketing on this platform, we often hear that trying to post on a consistent basis is a stumbling block. We help solve that problem by making it easy to schedule and queue new posts. 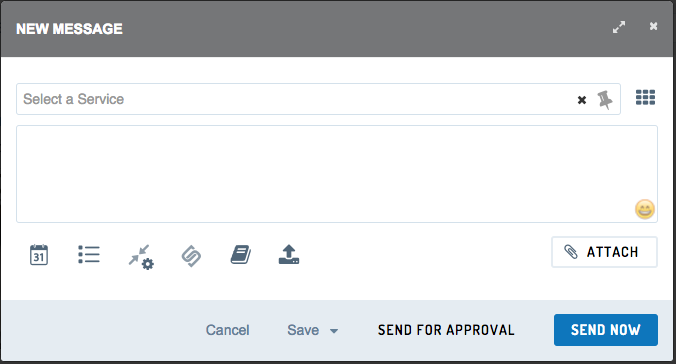 Instead of needing to start from scratch every time you want to make a new post, you or a member of your team can log into your Send Social Media Dashboard and then get weeks or even months worth of posts ready to go! Whether you want to research competitors, are looking for new types of content to post on your own account or are trying to find where you can engage with other users, our powerful search tool makes this type of work a breeze. Simply type in what you’re looking for and our tool will help you find the most relevant results. 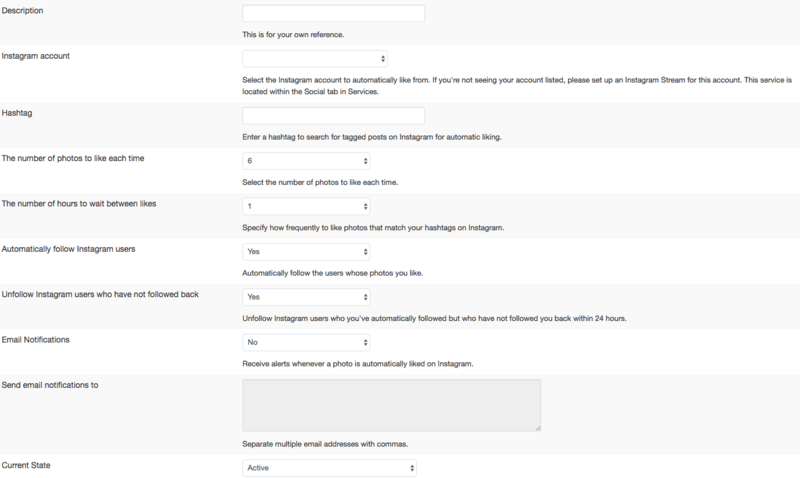 While we’re proud of every feature we built into this new component of our Dashboard, we are most excited about our Instagram Automation features. 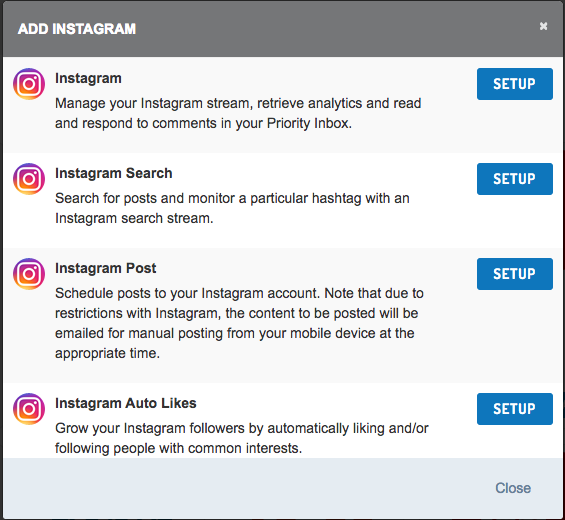 These features are specifically designed to turbocharge your growth on Instagram. As you can see from the screenshot above, our tool allows you to automatically like other photos with a specific hashtag. You can choose how many photos to like each time, along with how long to wait between likes. You also have the ability to automatically follow other users and/or unfollow those who don’t follow back. If you’re an existing Send Social Media customer and have any questions about our new Instagram features, don’t hesitate to contact us. And if you’re ready to see for yourself why so many businesses, marketers and agencies use our social media management dashboard, be sure to check out our free demo or trial.